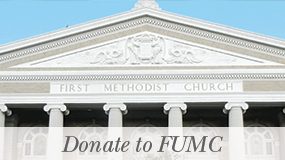 The United Methodist Committee on Relief (UMCOR) is the UMC’s disaster response agency. UMCOR is often the first in and last out following a natural disaster. All ages and stages are invited to gather and help assemble UMCOR cleaning and hygiene kits. 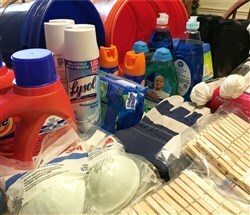 These kits assist families and Emergency Response Teams by providing cleaning materials to make homes safe, clean, and habitable following a disaster, and also by providing families who are displaced with necessary toiletries. All Sunday School classes are invited to participate. There will be no regular Sunday School for children and youth. Please support this opportunity by purchasing one or more of the required items for the relief kits by Sunday, March 10, using our Amazon wish list at http://a.co/it1YUAx. 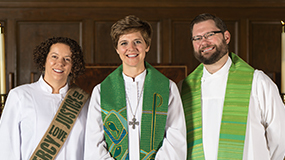 Items will be delivered directly to the church. Questions? Contact Pastor Cathy Stone at cathy@fumcaustin.org or 512-478-5684 x215 with any questions or for additional information.